Sorry for the radio silence lately. We’ve been busy with gearing up for the holidays and recovering from the cons we had back to back recently. No excuses though, we are going to post here more often. For daily updates make sure you follow us on FB, Tumblr, and Twitter. Garrick and myself have been very fortunate lately to be able to work on what we have been working on. We’ve been making costumes we have only ever dreamed of making before. Now that they’re a reality, we’re even more inspired and driven than we were when we first started. I can’t seem to explain it well. Things have been falling into place better, going together quicker, and we’ve been doing more in the same amount of time. I’ll post some builds here for these weekly to get caught up on what we’ve made but I want to talk about 2 costumes that personally have meant a lot to me to complete recently; The Boss from MGS3 and Bayonetta. I have wanted to do both of these costumes for a while. They were actually dream costumes of mine that I thought I would need to amass more skills in order to tackle. (Which I guess I did since I finished them!) I had two opportunities pop up this year to do these and I decided to push myself to try. 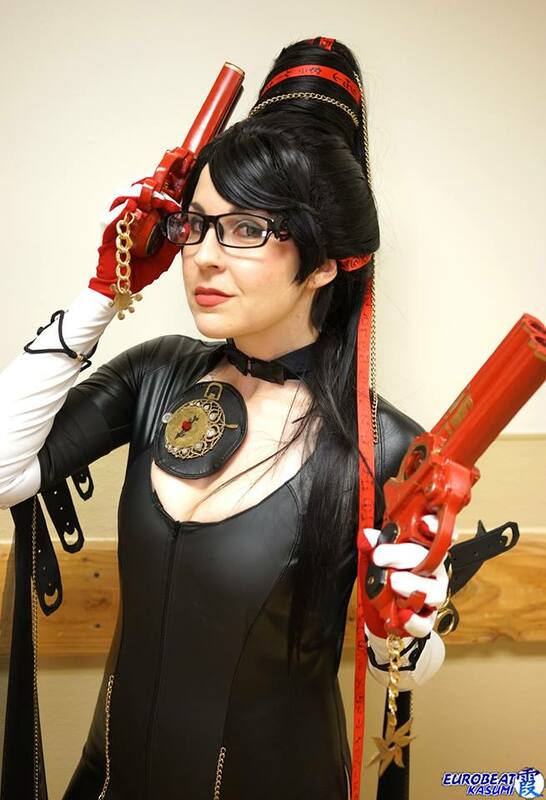 Bayonetta was months of work. I still have a few things I would like to re-do on her but I am so pleased with how she came out I forget how proud I am of her until see pictures of it and have to do a double take that not only is it me wearing that, but that I finished it. 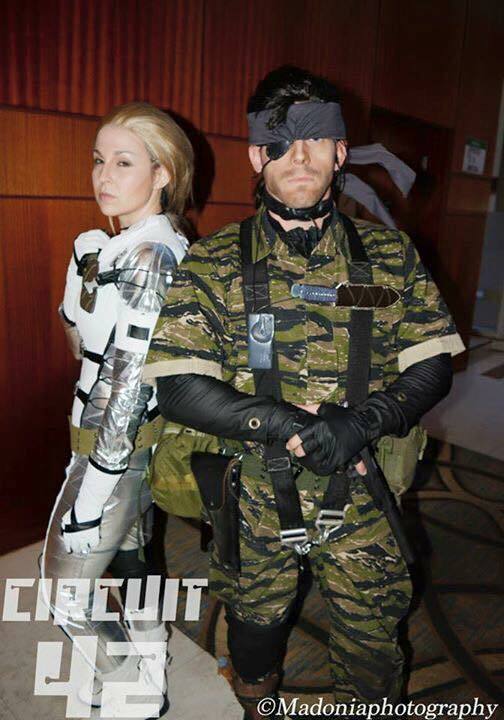 The other dream costume I was able to make was The Boss from MGS3. This one was a blur. I found out David Hayter was going to be at Saboten 2 weeks before we were going and I had all the motivation I needed to get her done. Now you might be thinking I was rushing this to wear it to go meet him. Not the case. He is awesome and I would love to do that but I get weird when I go to actor/artist/important people signings and I don’t know what to do or say. I generally like to keep my awkwardness in check by observing those situations from afar. It was too perfect of a senario to not try to do this. Our friend Paul already had a MGS3 Snake costume he was going to wear, a whole slew of other people involved in the game in addition to Hayter would be there, AND the new game came out the week prior. No time like the present right?! Boss is another character with so much confidence that I was intimidated making/wearing her. MGS3 was my first MGS experience and I had never been moved by a video game before like I was with her story. I really wanted to do her justice. Her construction was a blur. I feel like I just remember working on it and then being done and not really remembering the in between. I am always able to work through personal stuff when I sew but with Boss and Bayo I was specifically working through some bigger things by staying busy with projects. I will always be thankful for the time I had to work on these while working out my own thoughts (and working through my frustration that I couldn’t play the new game for weeks!) Wearing Boss was a blur as well and the best part was that my friends knew how excited I was for this and Deb even made a Meryl to go with Paul and I! At the end of the night, we were sitting in the bar, talking and having a good time, and I hear someone behind me say “Bosss…” in Snake’s voice and low and behold David Hayter was in the same bar as us, saw us come in, and took time out of his night to come and talk to us. Night made. Effort paid off. I couldn’t have asked for a better thing to happen that weekend. I was still awkward but I thought it was so nice of him to take time out of his night to come over, say hi, and talk with us a bit. What an awesome guy! Proper shoots to come fro both of these ladies, but I am so appreciative of the time spent with friends and the feeling of accomplishment of not only making two dream costumes but learning a lot about myself. One of the many reasons I enjoy this process so much. Not only do I get a fantastic end product, but the journey is equally as valuable. Annnd…. I learned how to style wigs better and do scars. Level up in my book!